“Regime change” in Ukraine engineered by the US State Department was largely responsible for the collapse of the “South Stream” gas pipeline project. Washington’s intent was to establish a de facto blockade which would prevent the flow of Russian gas to the European Union. 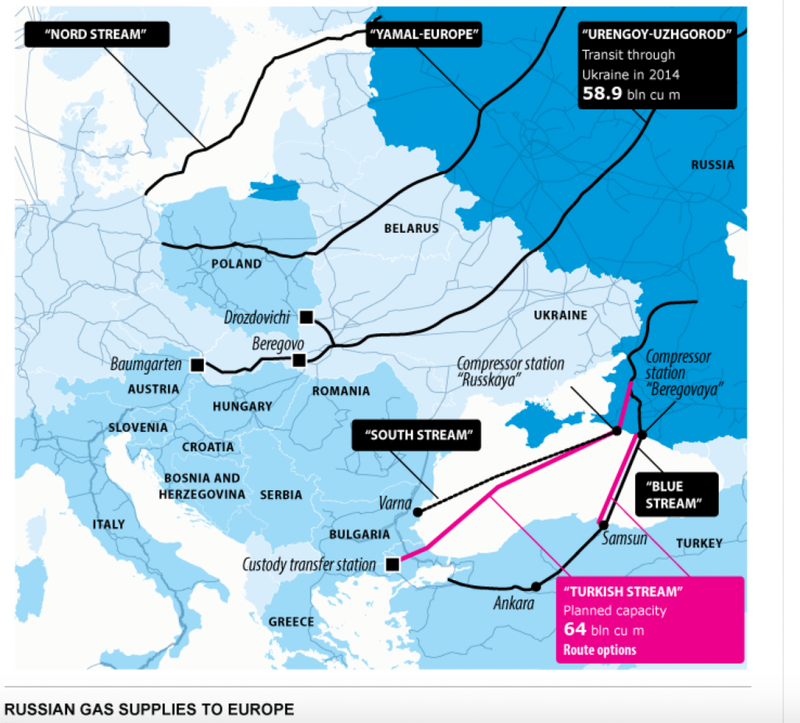 “The South Stream gas pipeline worth €15.5 billion was intended to pump 67 billion cubic meters of Russian natural gas to Europe annually. Back in January, the Moscow-Ankara deal was considered to be a slap in the face for Washington. Today, the Turkish Stream (sponsored by Moscow) is in jeopardy. The downing of the SU-24 plane engineered by US-NATO has contributed to destabilizing the Russia-Turkey deal. It was by not means the only objective. In January following the abandonment of the South Stream, the Turkish pipeline was announced as the “sole route”. Following the downing of Russia’s SU-24 plane and the collapse of diplomatic relations between Moscow and Ankara, that “sole route” is no longer there, leading not only to a potential crisis in the supply of natural gas to the European Union, but also a major blow to Russia’s national economy, which depends heavily on the energy sector. From the point of view of Washington, Wall Street and the Pentagon: “War is good for business”. Posted in "COLOR REVOLUTIONS", Carbon Fuels, FEATURED, GUEST AUTHOR, IMPERIALISM, RUSSIA & NOVOROSSIYA, Syria, Turkey and Tagged Chossudovsky, South Stream Pipeline.